Student filed a due process hearing request with the Office of Administrative Hearings (OAH), State of California, on October 3, 2012, naming Fresno Unified School District (District). District filed a due process hearing request with OAH on October 5, 2012, naming Student. OAH consolidated the cases on October 30, 2012, and determined that the timelines in Student’s case governed the consolidated matter. The consolidated matter was continued for good cause on November 19, 2012. 1 ALJ Adeniyi Ayoade began the hearing on September 10, 2013. However, due to a family emergency, the hearing was immediately adjourned before any substantive matters were heard and continued until September 11, 2013. 2 On October 6, 2013, Mr. Greenbaum faxed to OAH a “Notice of Request to Withdraw as Counsel of Record” and a request for a continuance. All parties and attorneys were informed by OAH to be present at the hearing on October 7, 2013, as the motions to withdraw and continue would not be ruled on before the hearing reconvened on October 7, 2013, and because District was entitled to be heard on the motion to continue. Despite this order, Mr. Greenbaum did not attend the hearing on October 7, 2013. After discussion with Parent, who did not oppose Mr. Greenbaum’s motion to withdraw, OAH granted Mr. Greenbaum’s motion to withdraw as Counsel for Student. The case was continued until October 28, 2013, for Student to either obtain new representation or for Mother to be prepared to present Student’s case. For part of the hearing, Roger Greenbaum, Attorney at Law, represented Student.2 For the remainder of the hearing, Mother represented Student. Mother is Student’s educational rights holder. Mother was present at all times during the hearing. Student was not present at the hearing. Sang-Jin Nam, Attorney at Law, represented District. Melody Hawkins, Attorney at Law, was present on September 10, 11, and 12, 2013. Diandra Netto, Attorney at Law, was present on all hearing dates, except September 12 and November 7, 2013. Legal Intern Sydney Smith was present on November 7, 2013. Debi Clark-Fleming, District representative, was present on all hearing dates. On the last day of hearing, November 7, 2013, the parties were granted a continuance to file written closing arguments by the close of business on December 2, 2013. After the timely receipt of the written closing arguments, an order bifurcating the remedies portion of Student’s case was made and the matter was continued until January 24, 2014. 1. May District conduct Student’s triennial assessment in all areas of need identified in the October 25, 2011 assessment plan without parental consent? 2. May District discontinue Student’s specialized academic instruction, identified in the October 25, 2011 individualized education program (IEP) and provided at a regional occupation program class at Duncan Polytechnic High School, because District has determined Student receives no educational benefit? 3. Did District’s October 25, 2011 IEP and September 26, 2012 prior written notice offer Student a free appropriate public education (FAPE) in the least restrictive environment and, if so, may District implement the offer without parental consent? 4. Is District excused from providing Student with a FAPE from August 2012 forward because District exercised reasonable efforts to have the independent educational evaluation (IEE) of Student performed pursuant to the order in OAH case number 2012010705? 5. Is District excused from providing Student a FAPE from August 2012 forward because Parent failed to comply with the order issued in OAH case number 2012010705 by refusing to make Student reasonably available for an IEE? e. Failing to provide an adequate educational program, specifically in the areas of written expression, reading, mathematics, and transition? j. Failing to provide an adequate educational program, specifically in the areas of written expression, reading, mathematics, and transition? g. Failing to provide adequate transportation services? d. Failing to provide copies of all educational records? District generally contended that it should be allowed to assess Student pursuant to an assessment plan dated October 25, 2011 and to discontinue Student’s placement in her regional occupational program class at Duncan High School. Further, District argued that the October 25, 2011 IEP and September 26, 2012 prior written notice offered Student FAPE in the least restrictive environment and that District should be excused from providing FAPE to Student from August 2012 forward because Student did not present herself for an assessment. Because Student turned 22 on December 20, 2013, and aged out of special education on December 31, 2013, this decision does not reach the merits of District’s first two issues as District is no longer required or allowed to serve Student. District did not meet its burden to show that the October 25, 2011 IEP offered Student a FAPE because of both procedural and substantive deficiencies in the IEP. District did not show that the “offer” of placement in the September 26, 2012 prior written notice offered Student a FAPE because it was not an IEP placement offer and, even if it was an offer, it was predetermined. Finally, District is not excused from offering or providing Student a FAPE after August 2012 because the Decision in OAH case number 2012010705 did not expressly absolve District of responsibility to provide Student FAPE if the assessment was not completed and because the decision is currently on appeal. Student contends that District denied her FAPE in the 2010-2011 school year from October 3, 2010, forward, the 2011-2012 and the 2012-2013 school years. Student met her burden to show that District denied her a FAPE from October 3, 2010, through the end of the 2010-2011 school year, including the 2011 extended school year. Student also met her burden to show that District denied her a FAPE in the 2011-2012 school year until October 25, 2011. As detailed below, District did not offer Student a FAPE in the October 25, 2011 IEP, and the determination from OAH case number 2012010705 was that the December 12, 2011 IEP denied Student a FAPE, which was not appealed. Because District did not hold any more IEP team meetings for Student, District denied Student a FAPE from October 25, 2011, forward so it is unnecessary to reach the specific contentions of Student in regards to allegations of a denial of FAPE between October 25, 2011, and the present day. In sum, District has denied Student a FAPE during the time period from October 3, 2010, to the present. Because of the length of time since Student was assessed, and in order to determine an appropriate remedy for Student, a psycho-educational assessment and a transition assessment have been ordered for Student.4 When the assessments are complete, an additional limited hearing will be held on the issue of the type and scope of Student’s compensatory education remedies. 5 Intellectual Disability was formerly referred to as mental retardation and the evidence in this matter uses both terms. In this Decision, the condition will be referred to as intellectual disability. 6Mr. Landis is a properly credentialed special education teacher. 1. Student is a 22-year-old woman who currently resides with Mother within the geographical boundaries of District. Student turned 22 years old on December 20, 2013. Student was eligible for special education under the primary category of intellectual disability.5 Student has been eligible for special education since she was in preschool and remained eligible through December 31, 2013. Mother is Student’s conservator, and holds Student’s educational rights. 2. Student attended Duncan Polytechnic High School, a magnet school, starting part way through her freshman year of high school, the 2007-2008 school year, and completed four years of high school in June 2010, receiving a certificate of attendance from Duncan. Student did not receive a regular high school diploma and therefore remained eligible for special education services through the age of 22. 3. District offers three very different adult transition programs (ATP’s) for students aged 18-22. All three ATP programs, ATP-FCC, ATP-Cesar Chavez, and ATP at IMC, have some job training, coaching, and work experiences available, although the vocational focus at each of the programs is different. 5. The ATP-Cesar Chavez program is the adult school for District. It has clientele of all ages, including adults who have recently been released from prison, adults on probation, and persons with behavioral and social-emotional issues. It focuses mainly on English language instruction and academic skills for adults who have not earned a high school diploma, and vocational programs. 6. The third ATP program is known as the ATP at Instructional Media Center (IMC). This program is a functional and independent living skills program for students with moderate to severe intellectual disabilities. The academic portion of the program focuses on functional academics. During the 2011-2012 school year, the program had 20 students enrolled, two special education teachers, and six aides. The goal of the program is to make the students as independent and self-reliant as possible. The program also provides students with access to the community, training to use public transportation, and vocational skills training. 7. District held an IEP team meeting on June 1, 2010, and an IEP was developed for Student. At the end of the June 2010 IEP team meeting, Mother consented to all parts of the IEP. 8. At the time of the June 2010 IEP team meeting, Student was 18 years old and reportedly working on an upper first-grade core curriculum math materials. She was able to do double-digit addition and subtraction problems without regrouping and sometimes needed the supports of a number line or something covering up the tens column to complete the problems. She was reading upper first-grade/beginning second-grade core curriculum texts with her aide and working from the corresponding core curriculum workbook. She could type 15 words per minute and browse the internet without assistance. In her art class, Student had friends, exhibited social interactions, and sometimes joked with peers. 9. Student had needs in the areas of reading, writing, mathematics, functional and independent living skills, communication, and self-advocacy, as evidenced by the present levels of performance in her June 2010 IEP, information from her teacher, Sharon Richards, previous IEPs, and previous assessment information. There was no evidence presented that these areas of need did not continue to be areas of need for Student until the present day. 10. The June 1, 2010 IEP contained a single-page transition plan, which was deficient for multiple reasons. Based upon Student’s limited input, as no assessments were conducted, Student had indicated that she wanted to be a dress designer or an anime artist. The transition plan goals should have targeted Student’s stated vocational goal, but instead focused upon Student being able to apply basic math skills to her daily living skills and discussed meal planning and preparing meals that did not require her to use the stove top. There were no transition activities noted on the plan and no transition services were offered or provided to Student. The transition plan was inadequate and fell far below what the law required. 11. Student’s IEP had goals in reading, reading comprehension and written expression. Because Student had needs in the areas of math, functional and independent living skills, communication, and self-advocacy, goals should have been developed in these areas and the IEP failed to offer Student a FAPE because of this critical omission. 12. The IEP offered specialized academic instruction for 50 minutes a day, totaling 250 minutes per week, described as general education with special education support and case management services, and a one-to-one aide throughout her entire school day, including lunch. The IEP placed Student at Duncan Polytechnic High School as a “fifth year Senior” for the 2010-2011 school year. 13. Both District and Parent clarified at hearing that all references to mobility training in the records referred to training Student to take public transportation. Student did not put on evidence that using public transportation was an area of need for her during the 2010-2011 school year. 14. Ms. Richards was Student’s special education teacher for the 2010-2011 school year and testified credibly at the hearing. Along with providing special education instruction, Ms. Richards was Student’s case manager for both the 2009-2010 and 2010-2011 school years. Despite the fact that Student’s IEP for the 2010-2011 school year called for specialized instruction for 50 minutes per day, Ms. Richards saw Student only two times per week and spent no more than 30 minutes at a time with Student. With the exception of the provision of the one-to-one aide throughout Student’s school day, District provided no other special education services to Student. Student received a fraction of the amount of specialized instruction her IEP team had determined would be necessary to implement the goals that were written and provide her with a FAPE. This is a material failure to implement Student’s IEP during the 2010-2011 school year. 15. Ms. Richards confirmed that Student did not make any progress in reading, writing, or math for the 2010-2011 school year and the totality of the evidence showed that Student made no progress in reading and math during the 2010-2011 school year. Student’s present levels of performance reported on the May 2010 and the May 2011 IEP documents were virtually identical. Ms. Richards testified that had Student been in a functional skills program in the 2010-2011 school year, she could have made educational progress in reading, writing, and math. Student’s failure to make progress in the areas of reading and math shows that she did not receive educational benefit in the 2010-2011 school year. 16. As discussed below, District failed to offer and provide Student a FAPE for the 2010-2011 school year, from October 3, 2010, forward. The IEP was deficient in its transition plan and annual measurable goals. Furthermore, District materially failed to provide the level of services agreed to in the IEP with the end result being that Student did not receive benefit from her educational placement during this school year. 17. District held two IEP team meetings in the Spring of 2011, May 23, 2011, and June 10, 2011. At the May 23, 2011 IEP team meeting, District refused to discuss or develop any goals for Student and only wanted to discuss Student’s placement for the 2011-2012 school year. District representatives at the IEP team meeting insisted that goals would be developed after the placement was decided, even after Mother repeatedly asked District to develop goals before discussing placement. District only wanted to discuss placement for Student in one of District’s three adult transition programs and was not willing to discuss any other placement for Student, including continued placement at Duncan. 18. District took the position that if Student’s placement was more “academic,” she would have more academic goals; if the placement was more a functional skills placement, she would have more functional skills goals; and if her placement was more geared towards work experience, she would have more vocational skills goals. This position is in violation of the requirement that a program meet the needs of a student. 19. The meeting adjourned so that Parent could visit one of the adult transition programs and the IEP team reconvened on June 10, 2011. Although the IEP was a continuation of Student’s annual IEP team meeting from May 23, 2011, no annual goals were developed for Student, with District still insisting that the placement would have to be determined before goals could be created. Mother wanted to discuss Student’s continued placement at Duncan, but District would only discuss the three adult transition programs. In the end, the June 10, 2011 IEP offered placement at ATP at IMC. 20. The June 10, 2011 IEP contained a transition plan that listed two goals: Student will apply basic math skills to her daily living skills and Student will discuss meal planning. Although the plan indicated that the two goals on the transition plan were linked to Student’s annual goals four and five, there were no annual goals on Student’s IEP. The IEP had no indication of what activities or services Student would need to reach these “goals.” The IEP did not list any specific transition services. There was some evidence at the hearing that District offered placement at ATP at IMC, which included functional math and reading, self-help skills, community integration, activities, and resources. However, District did not specify the duration or frequency of any of the transition services embedded in the ATP at IMC program or which services were appropriate for Student. The transition plan for Student continued to fail to meet legal requirements. 21. The May 23, 2011 IEP noted that for Student to receive educational benefit, goals would be written to address the following areas of need: mobility, organization, time, and vocational training. Only a few weeks later and without further assessment or input into Student’s present levels of performance, the June 10, 2011 IEP noted that for Student to receive educational benefit, goals would be written to address the following areas of need: reading, reading comprehension, and written expression. There was no explanation why Student’s areas of need in mobility, organization, time, and vocational training were not addressed in the June 10, 2011 IEP, just one month later. There was also no explanation why Student’s continued needs in the areas of functional and independent living skills, communication, and self-advocacy were not addressed in the June 10, 2011 IEP. 22. District wrote to Parent on June 20, 2011 and recognized that Student continued to have needs in the areas of mobility and vocational training. However, neither the May 23, 2011 nor the June 10, 2011 IEP developed or contained goals in these areas, despite Student’s needs. There was no evidence that Student’s needs in the areas of mobility, organization, time, and vocational training do not continue to the present day. Student’s lack of progress, as noted repeatedly by District employees during the hearing, confirmed that Student continued to have needs in every area identified. The June 10, 2011 IEP was deficient because it failed to contain goals in mobility, organization, time, vocational training, reading, reading comprehension, written expression, functional and independent living skills, communication, and self -advocacy. 7 Further, in another example of District’s placement driven IEP process, Nicole Evanglinos, regional program manager, testified that the District ATP programs were the offer of District when the meeting started. 24. The June 10, 2011 IEP offered Student placement for the 2011-2012 school year at the ATP at IMC for 288 minutes a day for a total of 1,440 minutes per week. 25. District did not offer Student any extended school year services for Summer 2011 because District did not offer extended school year services to any pupil in its ATP programs. At every IEP team meeting Ms. Richards attended, District IEP team members recommended extended school year services for Student and that Student would benefit from extended school year services. Despite this, District failed to present any evidence establishing it met Student’s extended school year needs. Therefore, District denied Student a FAPE with respect to extended school year for the Summer of 2011. 26. Mother did not consent to the June 10, 2011 IEP. Mother continued to consent to Student’s placement at Duncan, pursuant to the May 2010 IEP. However, District personnel did not re-enroll Student at Duncan for the 2011-2012 school year and refused to re-enroll her when Mother brought it to their attention on the first day of the 2011-2012 school year. Student had no placement and was out of school until after another IEP team meeting was held on October 25, 2011. 27. There was no discussion of transportation at the May 23, 2011 or the June 10, 2011 IEP team meetings. On June 20, 2011, District informed Mother it would not provide door-to-door transportation. This was a unilateral decision made by District outside the IEP team meeting, despite District’s recognition that Student needed mobility training to increase her independence. Student needed transportation from District to access her education as she could not drive herself or take a city bus alone. District’s failure to offer this service denied Student FAPE as discussed below. 28. District asked that the IEP dated October 25, 2011 be determined to have offered Student a FAPE. Mother provided partial consent to the October 25, 2011 IEP and agreed that the placement offer in the IEP could be implemented for Student. 29. There was no general education teacher or special education teacher in attendance at the October 25, 2011 IEP team meeting. Without the attendance of these critical members of the IEP team, Mother was prevented from receiving input from the general education and special education teacher regarding Student’s present levels of performance, the goals, accommodations and modifications, services and placement, and all other aspects of Student’s IEP. As a result, Mother was prevented from meaningfully participating in the IEP process. 30. As discussed in the Legal Conclusions below, the failure to have critical members of Student’s IEP team present resulted in a denial of meaningful parental participation and is denial of FAPE. No further analysis of the October 25, 2011 IEP is required. However, an analysis and findings will be presented for a comprehensive analysis and for the purpose of determining a remedy. 31. The October 25, 2011 IEP recognizes that Student had areas of need in reading, reading comprehension, written expression, math, and independent living skills. Student continued to have needs in the additional areas of mobility, organization, time, vocational training, communication, and self-advocacy. These needs were not identified and goals were not developed in the IEP to meet these needs. Identifying the appropriate areas of need for a student is a prerequisite to develop goals that meet these needs. The failure to identify these needs and write appropriate goals addressing them resulted in a denial of FAPE to student, as discussed below. 32. The IEP included academic assessment information from 2008 as part of Student’s present levels of performance, more than three years after the testing was completed. There was no showing that this three-year-old information reflected Student’s levels of performance as of October 2011. The other information used to develop the present levels of performance ranged from May 2011 to information that was several years older. 33. Student’s present level of performance in math indicated that she was working from the first grade California State Standards. Student could easily complete single-digit addition and subtraction problems and could complete double-digit problems without regrouping. Student could work at a first-grade level on word problems. 34. For Language Arts, the IEP only contained a description of Student’s curriculum, but not her independent reading, reading comprehension, or written expression levels. The only information provided was that student read and discussed with her aide from an upper first grade/beginning second grade reader and that her class work was modified using supplemental materials at her functional level. 35. For Student’s Art, Forestry, and Floral Design classes, most of the information in the present levels of performance was about Student’s behavior in the classroom, her attendance, her social interactions, and the fact her work was modified. There was no information about her academic skills. 8 Ms. Kalpakoff is a District employee assigned as the administrator for Student’s IEP’s beginning in the summer of 2011. 37. The communication development section of the IEP states: “[Student] was able to express herself adequately using complete sentences. When she was comfortable with her audience she would talk quite openly about many topics expressing her likes and dislikes. She was able to understand most verbal conversations, but could become confused on verbal directions.” This exact statement is in Student’s present levels of performance on her IEP’s dated May 23, 2008, September 25, 2008, September 2, 2009, May 1, 2010, May 23, 2011, and June 10, 2011. It need not be decided whether Student made no progress in three years or District merely copied present levels of performance from IEP to IEP, year after year, without regard to Student’s then-current level of performance. The lack of assessment data and then-current information regarding Student makes it impossible to determine what Student’s present level of performance was in the area of communication. 38. As further evidence of the inaccuracy, the statements from the teachers about Student’s communication located in the pre-academic/academic/functional skills section of the IEP contradict the statements in the communication development section in several respects. The discrepancies included reports that in May 2011 Student was quiet in class, had days where she seemed happy and socialized at times and other days where she was more withdrawn, less involved in peer interactions than she was in the past, and that she got uncomfortable when students talked to her. 40. The Gross motor description can be found, word-for-word, in Student’s IEPs dated May 23, 2008, September 25, 2008, September 2, 2009, June 1, 2010, May 23, 2011, and June 10, 2011. The fine motor section that states that Student’s fine motor skills were age appropriate and she was a good artist were also word-for-word from Student’s IEPs dated May 23, 2008, September 25, 2008, September 2, 2009, June 1, 2010, May 23, 2011 and June 10, 2011. Again, either Student made no progress in three years or District merely copied present levels of performance from IEP to IEP, year after year, without regard to what Student’s true then-current level of performance was. District failed to establish that it had accurate present levels of performance in this area. 41. Parent objected to the characterization that Student’s fine motor skills were age-appropriate as her handwriting seemed like a very young student’s and was very labored. District simply noted that Mother disagreed with the statement, but made no change to the level in the IEP. The levels described in this section were, again, clearly written in the past tense and made no statement about what Student could or could not do at the time of the IEP team meeting. The staleness and inaccuracy of the present levels of performance were acknowledged by District’s attorney’s statement at the IEP team meeting that he had no idea who originally determined the present levels District was listing in the IEP. 42. Student’s present level of performance in the social emotional/behavioral section noted that Student was not as interested in school in the 2010-2011 school year due to many absences, headaches and leaving class. Teachers reported that they did not see as much interaction between Student and her peers as in the past. Student was described as friendly, polite, and having a good sense of humor. Student was polite and respectful to her teachers. 43. However, in the IEP team meeting recording, Mother reported that Student’s absences and headaches were part of Student’s seizure disorder and that school staff often called Mother to pick up Student when she experienced headaches or tremors, causing Student to miss quite a bit of school. There was no evidence that the headaches, absences, or leaving class was a result of disinterest on the part of Student. Again, District made no change to the written portion of the IEP based upon Mother’s input. The present levels in social emotional/behavioral on the IEP document did not accurately reflect the information discussed at the IEP team meeting. 44. The evidence showed that Student had needs in the areas of adaptive/daily living skills and that District should have more thoroughly and accurately documented Student’s level of performance in this area. In this case, there is no controversy in regards to Student’s eligibility category of intellectual disability. In order to be eligible for special education as a student with intellectual disability, a student must have deficits in adaptive/daily living skills. The District should have recognized these needs and addressed them through goals. 45. The Health section only referred to a current triennial health assessment from a nurse as of May 18, 2011. The document attached to the IEP document was actually dated May 25, 2008 and recited information from 2008 only. There was no health assessment completed in 2011. The IEP contained no current health information in Student’s present levels of performance, despite Mother’s discussions at the IEP team meeting on October 25, 2011, about Student’s seizure disorder. 46. In general, the present levels of performance in the October 25, 2011 IEP are so deficient that goals meeting Student’s needs could not have been developed in many areas. Student’s independent reading ability was unknown; her reading comprehension level was unknown; her written expression level was unknown; her communication development was unknown; and her gross and fine motor skill levels were unknown. Student’s adaptive and daily living skills as written revealed no deficits in these areas – yet District wanted to develop a goal for independent living. In addition, Student’s then-current health issues were not documented. 47. District decided to develop goals for Student based on her assessment from April 25, 2002. Repeated witnesses for District stated and many District documents note that Mother had not consented to a triennial assessment since 2002. The evidence showed that this statement is misleading because District did not ask to assess Student at all between 2002 and 2008, and Mother partially consented to District’s May 2008 assessment request. Several times between 2002 and 2011, District presented Mother with a document stating Student did not need further assessment. 48. In March 2008, District presented Mother with a form called “Three Year Reevaluation for Continued Eligibility.” That form, filled out in its entirety by District personnel, shows that the District determined that assessment of Student was necessary in March 2008. 49. However, just two months later in May 2008, District gave Mother an assessment plan to assess Student in the following areas: academic achievement, intellectual development, psycho-motor development, health, and self-help, career, and vocational abilities. District never explained why it determined that Student did not need to be assessed in March 2008 but then determined that she needed to be assessed just two months later. Mother consented to all areas on the assessment plan, with the exception of cognitive ability. District completed the assessments, with the exception of the cognitive ability assessment. District did not file for a due process hearing to complete the cognitive ability testing. District’s failure to pursue cognitive testing of Student in 2008, or any time until 2011, shows that District did not consider the lack of cognitive testing an impediment to providing services to Student. 50. In the Spring of 2011, District again determined that a triennial assessment was not necessary and asked Mother to sign a document stating that testing was not necessary, which Mother did. Elizabeth Nixon, the school psychologist, did not approach mother for assessment because she “knew” Mother did not want testing. This contention was unsupported by the evidence. Upon cross-examination, Ms. Nixon admitted that her “knowledge” that Mother did not want testing was based on a four-year-old conversation with the previous school psychologist who said that Mother did not agree to the intellectual ability testing in 2008. The failure to assess Student until 2011 was because District did not pursue assessment of Student, not because Mother would not permit assessment. 51. District’s attempt to rely upon Mother’s failure to consent to the intellectual ability testing in 2008 and to explain its failure to develop appropriate goals for the October 25, 2011 IEP fails. District did not present credible evidence that if Mother had consented to intellectual disability testing in 2008, District would have been able to develop appropriate goals for Student at the October 25, 2011 IEP team meeting. The parties do not dispute that Student has an intellectual disability. District did not present evidence that the results of a 2008 intellectual disability assessment would be relevant to determining goals for Student at the October 25, 2011 IEP team meeting as the key information needed to develop goals would be Student’s present performance as of October 2011, not 2008. 52. The October 25, 2011 IEP had goals in functional reading, math, reading comprehension, and written expression. However, none of those goals were based upon Student’s present levels of performance. They were inexplicably tied to assessments that were more than 11 years old and all goals stated that appropriate goals would be developed after an assessment was completed. District did not develop an independent living goal. Further, although District took the position that an assessment was needed to develop goals, District did not present Mother with the assessment plan until the IEP team meeting. Even if Mother had signed the assessment plan at the IEP team meeting, the assessment would not have been completed until well after the October 25, 2011 IEP team meeting had concluded. 53. Dedar Sing Gill, District’s lead school psychologist, opined that it was inappropriate for District to use 2002 test results to develop goals. His testimony was direct, clear, and without hesitation, and it is given much weight. The District should not have used the 2002 testing results to develop goals for Student in 2011. 54. The October 25, 2011 IEP did not contain appropriate goals for Student. Student did not have goals in all her areas of need; the goals that were created were not based upon present levels of performance; and District conceded on the IEP that the goals were not appropriate. As discussed below, this resulted in a denial of FAPE to Student. 55. The IEP provided several accommodations and modifications for Student. The IEP team thoroughly discussed the different accommodations and modifications, tying them to Student’s needs and abilities. The evidence showed that the accommodations and modifications on the IEP were appropriate for Student. 56. The IEP placement offer for Student is confusing and contradictory. In the offer of special education and related services, the IEP offered Student specialized academic instruction in a group for 200 minutes, five times a day, for a total of 1,000 minutes per week. In the comments, it notes that 300 minutes a week will be provided by a District teacher in small group instruction with seven students and two assistants, 300 minutes will be provided by a certified teacher, and 150 minutes will be provided by a paraprofessional. The number of minutes specified in the comments, however, does not add up to 1,000 minutes a week, but only 750 minutes a week. 57. In another section, the IEP states that Student will be served by a certified paraprofessional to provide math intervention for 50 minutes on Monday, Wednesday, and Friday and served by a certificated teacher to provide reading, writing, and math intervention for two hours and 50 minutes on Tuesday and Thursday. The IEP is unclear as to whether these minutes are a part of the 1,000 minutes a week or in addition to the 1,000 minutes a week. A schedule for Student’s time at the ATP-FCC program is attached to Student’s IEP and shows that the services listed in this paragraph for math intervention on Mondays, Wednesdays, and Fridays and the reading writing and math intervention on Tuesdays and Thursdays is a part of the 1,000 minutes listed in the other part of the IEP. The written offer was not clear and understandable. 58. Moreover, in the schedule for ATP-FCC attached to the IEP, Student’s time in the ATP-FCC program was from 8:00 a.m. to 10:50 a.m. five days a week for a total of fourteen hours or 840 minutes a week. Depending on which section of the IEP is analyzed, District’s offer can be read to offer either 750 minutes, 840 minutes, or 1000 minutes at the ATP-FCC program. The ATP-FCC part of the placement offer is confusing, unclear, and incoherent. 59. Further adding to the offer’s lack of clarity, the IEP also indicated that Student would receive specialized academic instruction for 700 minutes a week in a regular classroom. The class is identified as Student’s regional occupational program agriculture class at Duncan. Specialized academic instruction is delivered or supported by a special education teacher, not a regular education teacher. However, testimony at hearing showed that no special education services were provided to Student during the class at Duncan. The evidence also established that no special education teacher was consulting with Student’s teacher or aide about the delivery of the curriculum in the class at Duncan. 60. The teacher in the Duncan class has a regular education credential and while the class was modified for Student by the general education teacher, it was not specialized academic instruction. The Duncan class met for 700 minutes per week. However, this was 700 minutes of general education, not specialized academic instruction. Therefore, the IEP misstated that Student would receive 700 additional minutes a week of specialized academic instruction. The IEP offer was also not clear and understandable as it incorrectly stated that Student would receive 700 minutes more of special education per week than Student would actually receive. 61. Although Student has needs in the areas of functional and independent living skills, neither Student’s program as offered in the October 25, 2011 IEP at ATP-FCC or Duncan offered Student any instruction in these areas. According to testimony at hearing, the ATP-FCC placement offers such instruction, but it is not provided when Student was scheduled to attend. 62. On October 26, 2011, Student began attending the ATP-FCC program in the morning and the ROP class at Duncan in the afternoons. 63. Howard Landis is a District teacher for District’s portion of the ATP-FCC program. At hearing, his testimony was forthright, he had a clear memory of Student and her abilities, and his testimony was credible and given great weight. He is in his fifth year of teaching at the ATP-FCC program. All of the curriculum he used in his class are at the 4th to 5th grade level. This level was appropriate for the other students in the class. Student could not comprehend the material at the level it was taught in his class. During the times Student was seen one-to-one by the paraprofessionals, the curriculum was still at a 4th- to 5th-grade level, well above Student’s functional reading level. Student was well below the other students in her level of maturity and was the only girl in a class of male students on the autism spectrum. Student would want to talk about shopping, the mall, and reading chapter books, and the other students were not interested in these activities. Mr. Landis, unequivocally opined that the ATP-FCC placement was inappropriate for Student from the start. The material was too hard and Mr. Landis did not understand why Student was placed in his class. While she was enrolled in his class from October 26, 2011, through the end of the 2011-2012 school year, Student made no progress, including in the areas of reading and writing. Mr. Landis informed District of his concerns about Student not being appropriately placed in his program in October 2011, at the beginning of Student’s placement. No action was taken. 64. The offer of placement and services on the October 25, 2011 IEP resulted in a denial of FAPE to Student, as discussed below. The placement offer was unclear as to the frequency and duration of special education services, mischaracterized Student’s general education class as special education, was inappropriate from the start and Student did not receive educational benefit. 65. A skeletal transition plan was a part of Student’s October 25, 2011 IEP. The transition plan had three goals, none of which were adequate. The first goal was, “Upon completion of school I will be able to apply basic math skills to daily living skills.” The goal states that the activity to support the goal would be participating in life skills/independent living activities designed to teach her how to make purchases. The IEP did not offer any life skills/independent living classes to Student. The second goal on the transition plan was, “Upon completion of school I would like to work in a library and/or nursery.” The activity to support the goal was to participate in a workability program. District did not offer any workability program on Student’s IEP. The final goal was, “Upon completion of school I will be able to prepare a nutritionally balanced meal.” There were no services listed to support this goal on the IEP. In sum, none of the goals on the transition plan was measurable and there were no transition services offered on the IEP to assist Student in meeting any of the goals. 66. Although Student was an adult and could not get herself to her placement alone and could not ride the bus alone, District only offered transportation from the ATP-FCC program to Duncan in the middle of the day. District did not offer Student transportation from her home to the ATP–FCC program and from Duncan to home at the end of the day. Ms. Kalpakoff admitted that District made a mistake by not offering Student home to placement and placement to home transportation at the October 25, 2011 IEP team meeting. 67. As discussed below, the October 25, 2011 IEP team meeting, was both procedurally and substantively deficient. The procedural deficiencies and the deficiencies in identifying Student’s needs, documenting her present levels of performance, developing appropriate measurable goals in all areas of need, making a clear placement offer, making an appropriate placement offer, creating a meaningful transition plan, and offering transportation to Student each individually result in a denial of FAPE to Student. Given Student’s disability and age, the magnitude and scope of the denial of FAPE has caused substantial harm to Student. 68. District presented Mother an assessment plan at the IEP team meeting on October 25, 2011. District asked to assess Student in the following areas: academic achievement, intellectual development, social/emotional, adaptive behavior, post-secondary transition, and assistive technology. Mother did not disagree with the assessment plan, but wanted the assessments completed by a neutral party who did not work for District. Mother never signed the assessment plan because of her disagreement with using District assessors. District did not request a hearing until almost one year later, asking for an order to allow District to assess Student over Mother’s disagreement. District then stipulated to consolidate its assessment case, which could have been heard and decided within 45 days, with Student’s case, which, after a series of continuances, resulted in this case being heard almost two years after the assessment was proposed. 69. District failed to present testimony or evidence that the assessments as proposed by District on the assessment plan were appropriate for Student or that the assessors met the legal qualifications to assess Student in the areas proposed. District’s lead school psychologist, Mr. Gill, credibly opined that the assessment plan should have also been included an assessment in the area of health and that a social/emotional assessment was not necessary because there was no history of behavioral or emotional problems. 70. District is not entitled to perform its triennial assessment, pursuant to the October 25, 2011 assessment plan. District did not meet its burden to show that its assessment plan was appropriate. In addition, District did not timely litigate its claim and Student is no longer qualified for special education because she has exceeded the maximum age of eligibility, which extinguished District’s right to assess Student. 71. District held another IEP team meeting on December 12, 2011. In 2012, Student challenged the December 12, 2011 IEP for several reasons, including an allegation that District predetermined its IEP offer. The August 2012 hearing decision determined that the December 2011 IEP was predetermined and resulted in a denial of FAPE. District was ordered to provide an IEE as a remedy to the Student. The order specified that District could choose the independent evaluator from District’s list of independent assessors. Parent wanted District to use Dr. Howard Glidden, who was on that list. District, who had no objection to Dr. Glidden, nonetheless chose another assessor from this list. District’s repeatedly refused to work cooperatively with Parent to choose an assessor. District maintained that it got to choose the assessor and that the order barred the parties from cooperatively determining the assessor, although no such language exists in the order. 72. District would only agree to use the one person off the list they chose, although District had contracted with Dr. Glidden in the past and believed that Dr. Glidden was qualified to perform the assessment for Student. Mother did not present Student for the assessment. 73. The District filed in federal court to enforce the remedy but did not appeal the underlying Decision. Mother appealed the portion of the order that allowed District to pick the evaluator. The federal court has not yet ruled on the appeal or motion to enforce. 74. District has not held any IEP team meetings since the December 2011 IEP team meeting, which was previously found to be a denial of FAPE. During the 2011-2012 school year, Student attended a combination program at ATP-FCC and the Duncan regional occupational program class. In the 2012-2013 and 2013-2014 school years, Student attended only the regional occupational program class at Duncan. 75 As determined below, District had an obligation to continue to hold IEP team meetings for Student and to offer her a FAPE as long as she remained eligible for special education. Even after receiving the Decision in the previous case finding that the December 12, 2011 IEP denied Student a FAPE, District did not hold an IEP team meeting. District’s failure to hold required IEP team meetings since December 12, 2011 has resulted in a denial of FAPE. 76. District sent a prior written notice letter to parent on September 25, 2012. In that letter, District indicated that it was changing its placement offer from ATP-FCC to ATP at IMC. District did hold an IEP meeting to discuss changing Student’s placement. As discussed above, the ATP-FCC is significantly different from the ATP at IMC. District unilaterally determined that ATP at IMC was an appropriate placement for Student. The failure to hold an IEP team meeting denied Parent the right to meaningfully participate in the IEP process. 77. District argues that Student had reached an academic peak, or plateau, and was no longer able to learn in the areas of reading, writing, and math. The supposed existence of a plateau appeared for the first time in hearing as a District-wide excuse for Student’s lack of educational progress. None of District’s witnesses who testified about Student’s academic peak or plateau was credible concerning this claim. Nowhere in any of Student’s IEPs was there a mention or discussion of an academic peak or plateau. On the contrary, those of Student’s IEPs which contained goals, specifically had them in the very areas District now claims Student was unable to progress in. The October 25, 2011 IEP stated Student had needs in academic areas and that academic goals should be developed, undercutting District’s argument that Student could not make academic progress. 78. Mr. Gill, District’s lead psychologist, testified that students with an intellectual disability can enhance their academic skills and make growth, but that the rate would be different than that of a typical student. Mr. Gill could not tell if Student had reached a peak in a particular area or subject, without more assessment data. Ms. Richards believed that Student could have made progress in reading, writing, and math had she been in a functional skills program. 79. District’s explanation for of an academic peak or plateau for Student’s lack of academic progress is without merit. All of Student’s IEPs, from at least October 2010, denied her a FAPE and District failed to provide her the amount of special education her IEP’s entitled her to receive. District did not show by a preponderance of the evidence that there was an academic peak or plateau or that Student had reached one as an explanation for Student’s lack of educational progress. The responsibility for Student’s lack of educational progress lies squarely on District for their procedural and substantive inadequacies. 9 Unless otherwise indicated, the legal citations in the introduction and in the sections that follow are incorporated by reference into the analysis of each issue decided below. 10 All subsequent references to the Code of Federal Regulations are to the 2006 version. Issue 1 – May District discontinue Student’s specialized academic instruction, identified in the October 25, 2011 IEP and provided as a regional occupational program class at Duncan, because District has determined that Student receives no educational benefit? 11 It is legally inconsistent that in Issue 2 District seeks carve out the Duncan portion of the October 25, 2011 IEP, while in Issue 3 it seeks an order deeming the October 25, 2011 IEP to be FAPE and allowing it to implement the very same IEP it seeks to materially alter here. In essence, in 2013, District wishes to pick and choose what parts of its 2011 offer it may negate and what parts it may implement. 7. In this case, Student turned 22 on December 20, 2013, which is also the last school day before December 31, 2013, the date Student’s eligibility for special education ended. As Student is no longer eligible for special education services and would not be eligible to attend a District program after the date of this Decision, this issue is moot and will not be analyzed further. Issue 2 – May District conduct Student’s triennial assessment in all areas of need identified in the October 25, 2011 assessment plan without parental consent? 8. In Issue 2, District asks to be allowed to conduct a triennial assessment without parental consent. Mother did not disagree with District assessing Student, but believed that Student should be assessed by a neutral party who did not work for District, given the past issues between District, Parent, and Student. 13. This issue is moot, as Student turned 22 on December 20, 2013, and there is no need to complete triennial assessments on Student for the purpose of determining Student’s continuing eligibility for special education as she is past the age of eligibility. Even if Student had not aged out, District failed to meet its burden. District proposed assessing Student in the areas of academic achievement, intellectual development, social/emotional, adaptive behavior, post-secondary transition, and assistive technology. District did not meet its burden to show that Student needed to be assessed in the area of social/emotional. The evidence also established that the assessment plan should have included assessments in the area of health. Finally, District did not present evidence that its assessors were qualified to assess Student. 14. Therefore, District did not show that the October 2011assessment plan was appropriate for Student and that Student should be assessed without parental consent. Issue 3 – Did District ’s October 25, 2011 IEP and September 26, 2012 prior written notice offer Student a FAPE in the least restrictive environment and, if so, may the offer be implemented without parental consent? 15. In Issue 3, District contended that the IEP of October 25, 2011, and the September 26, 2012 prior written notice offered Student a FAPE in the least restrictive environment and that District should be allowed to implement the IEP and placement from September 2012 without parental consent. Parent contended that District’s October 25, 2011 offer and the September 2012 placement on the prior written notice did not offer Student a FAPE. The October 25, 2011 IEP will be analyzed first procedurally and then substantively. Then, the September 26, 2012 prior written notice will be analyzed. 16. The October 25, 2011 IEP offer was District’s placement offer for Student until another IEP team meeting was convened on December 12, 2011, where another offer was made. In OAH Case 2012010705, District’s December 12, 2011 IEP was determined to deny Student a FAPE because the placement offer was predetermined. In this case, District appeared to argue that since the December 12, 2011 IEP was found to deny Student a FAPE, that it may “reach back” to the earlier October 25, 2011 IEP and implement this IEP currently. District offered no legal support for its position, and none was found. The October 25, 2011 IEP was only in effect until District made a different placement offer at the December 12, 2011 IEP team meeting. Because of this, the October 25, 2011 IEP was the operative IEP and will be analyzed to determine if it offered Student a FAPE from October 25, 2011, through the date of the next IEP, December 12, 2011. We find that this formal requirement has an important purpose that is not merely technical, and we therefore believe it should be enforced rigorously. The requirement of a formal, written offer creates a clear record that will do much to eliminate troublesome factual disputes many years later about when placements were offered, what placements were offered, and what additional educational assistance was offered to supplement a placement, if any. Furthermore, a formal, specific offer from a school District will greatly assist parents in “present[ing] complaints with respect to any matter relating to the … educational placement of the child.” 20 U.S.C. § 1415(b)(1)(E). 30. In this case, District did not have a general education teacher or a special education teacher at the October 25, 2011 IEP team meeting. Student’s placement included both special education and general education classes. District offered no explanation for the absence of the teachers. The absence of either the regular education teacher or the special education teacher is a significant procedural violation. Without the presence of both of these critical IEP team members and their valuable input regarding Student’s performance in the classroom, her academic and functional levels and information about their classrooms, Mother could not meaningfully participate in the IEP process. 31. Even if all of the required members were at the IEP team meeting on October 25, 2011, the placement offer for specialized instruction on the IEP is not a clear and coherent offer. It contradicts itself at least four times as to the number of minutes of special education Student is entitled to under the IEP. The IEP lists Student’s regular education regional occupational program class, in which there was no specialized instruction or special education teacher, as specialized instruction on the IEP. This error either mischaracterizes and overestimates the amount of specialized instruction Student was entitled to receive or, if the class was meant to offer specialized academic instruction, the evidence showed that District did not provide any in the class. The offer was unclear and prevented Mother from understanding the offer of placement which resulted in a denial of Parent’s opportunity to meaningfully participate in the IEP process. 32. The failure to have a general education teacher, a special education teacher and to make a clear and coherent placement offer at the October 25, 2011 IEP team meeting are significant procedural violations which each denied Parent the opportunity to meaningfully participate in the IEP process and render the IEP from October 25, 2011 a denial of FAPE for Student. The impact of the denial of FAPE on Student is compounded in this case by the amount and scope of the violations. This denial of FAPE lasted until the next IEP team meeting was held on December 12, 2011. For a more complete record and to assist in the determination of any remedy, the rest of the IEP will be analyzed, although a denial of FAPE has already been determined. 38. In the October 25, 2011 IEP, the present levels of performance on the goals page, upon which the goals were based, were more than nine years old. The other present levels of performance listed on the IEP were inadequate and often years out of date. District’s failure to include the general education teacher and special education teacher in the IEP team meeting contributed to the lack of information about Student’s present levels of performance.12 No one at the IEP team meeting actually worked with Student in the classroom and could discuss her present levels. Even though District had some limited information from the teachers at the previous IEP team meetings available, District chose to ignore that information and instead took the position that it was required to use assessment data that was almost a decade old to create the baseline data for the goals. This resulted in inaccurate present levels of performance. District merely copied old information for Student’s communication and motor areas and made no attempt to determine what Student’s actual present levels were in these areas. 13 Curiously, District also asked that the regional occupational program class at Duncan, which is part of their October 25, 2011 IEP offer, be discontinued because Student does not get educational benefit. District itself admits that a portion of its placement offer from October 25, 2011 is inappropriate in the same filing it asks for the placement to be determined appropriate and be implemented without consent. District’s concession that its own placement offer of the class at Duncan is not appropriate is noted and accepted as fact. 39. District contends that it could not determine Student’s present levels of performance at the October 25, 2011 IEP team meeting because mother had not allowed Student to be fully assessed since 2002. This argument fails. There was no evidence that District ever asked to assess Student between 2002 and 2008. In 2008, District asked to assess Student in several areas. Mother agreed with all areas except intellectual functioning and District completed assessments in all areas except intellectual functioning. District itself determined that Student did not need additional assessment as late as the Spring of 2011. 40. District did not present Mother with an assessment plan until the October 25, 2011 IEP was already well underway, so it cannot contend that the lack of information available to it at the meeting was due to any failure on the part of Parent. Parent, by law, had at least 15 days from October 25, 2011 to consider the assessment plan. Therefore, District cannot argue that Parent’s failure to consent to an assessment at an IEP team meeting was the cause of their failure to have actual present levels of performance for that very IEP. 41. Since the goals on the IEP were based on the eleven year old assessment data, the goals themselves were not appropriate for Student. The IEP document acknowledges that the goals were not appropriate because the goals themselves indicate that appropriate goals will be developed after an assessment is completed. Student also had documented needs in the areas of functional and independent living skills, mobility, organization, time, vocational training, communication and self-advocacy and no goals were developed for Student in these areas. 42. Therefore, the October 25, 2011 IEP denied Student a FAPE because it did not have accurate appropriate present levels of performance upon which the IEP team could have developed goals. The goals that were developed were acknowledged by District to not be appropriate for Student and goals were not developed in all areas of need for Student. District was obligated to develop appropriate goals in all areas of need for Student at the IEP. 44. Substantively, the October 25, 2011 IEP did not offer Student FAPE because the present levels of performance were years out of date, the goals were not appropriate and not developed in all areas of need and the placement was not appropriate for Student. Each of these constitute a denial of FAPE itself. The denial of FAPE lasted until the next IEP team meeting on December 12, 2011. 46. Transition services are a coordinated set of activities that are designed within an outcome-oriented process that is focused on improving the academic and functional achievement of the child to facilitate movement from school to post-school activities, including postsecondary education, vocational education, integrated employment, continuing and adult education, adult services, independent living, or community participation. It is based on the student’s needs, taking into consideration the student’s strengths, preferences, and interests; and it includes instruction, related services community experiences, the development of employment and other post-school adult living objectives, and, if appropriate, acquisition of daily living skills, and functional vocation evaluation. 48. The transition plan attached to the October 25, 2011 IEP is cursory at best. No transition assessments were completed. The goals on the transition plan are not measureable. More importantly, District offered no services to support Student’s transition plan at the October 25, 2011 IEP team meeting. Although the ATP-FCC program had a functional skills/independent living component that may have provided some transition services, this component was only offered in the afternoons. District did not place Student at the ATP–FCC program in the afternoons and made no changes to the program to ensure that Student would be offered these services during the part of the school day she was scheduled to be at ATP-FCC. 49. District did not meet its burden to show that the transition plan was appropriate for Student; it did not have measurable goals and there were no transition services offered to Student, all of which resulted in a denial of FAPE for Student from October 25, 2011 through December 12, 2011. 51. Because the October 25, 2011 IEP denied Student a FAPE in so many areas and because the placement offer is so procedurally deficient as to deny Student a FAPE, it is not necessary to analyze whether the deficient placement offer is in the least restrictive environment. 52. District contended that the September 2012 prior written notice letter offered Student a FAPE and District asked to be able to implement this offer over parent objections. Even if an appropriate offer, District would not be able to implement the offer, as Student will have aged out of special education prior to the beginning of the next semester. 55. The legal standards set out in Legal Conclusions 17-21 are equally applicable to the resolution of this issue and are incorporated by reference. 56. After District received the Order in OAH Case 2012010705 in August 2012 and Parent did not enroll Student at the ATP-FCC program for the Fall of 2012, District sent a prior written notice letter to Parent purporting to change Student’s placement from the ATP-FCC program to the ATP at IMC functional skills program. Given the substantial difference between the various ATP programs, this was a substantially different placement from District’s prior offer and cannot be accomplished through a letter. The IEP team must meet, consider the needs of a student, develop or revise goals, as necessary, and then make an offer of services and placement to a student. In this case, District attempted to short circuit the entire IEP development process and change Student’s placement without an IEP meeting. This is not a placement offer and therefore, cannot be implemented over Parent’s objection. Even if a placement could be changed unilaterally in a letter, District would have unilaterally determined the IEP offer outside an IEP team meeting without a discussion between the IEP team members. Therefore, even if the letter could be considered an offer, District has predetermined the placement offer at the ATP-FCC program when it sent Parent the take-it-or-leave-it offer of placement in the September 26, 2012 prior written notice letter. This resulted in a procedural violation to Student beginning on September 26, 2012. This procedural violation denied Student a FAPE because it denied Parent the right to meaningfully participate in the IEP development process by not having an IEP meeting before making a new, placement offer. 57. In light of the above, as to Issue 3, District has not met its burden to show that the October 25, 2011 IEP and September 26, 2012 prior written notice offered Student a FAPE. The October 25, 2011 IEP denied Student a FAPE from October 25, 2011 until the next IEP on December 12, 2011. In OAH Case No. 2012010705, it was determined that the December 12, 2011 IEP denied Student a FAPE due to predetermination, which lasted until the present day. Even if the September 26, 2012 letter constituted an offer, it was predetermined and denied Student a FAPE from September 26, 2012 to the present day, as well. Issue 4 – Is District excused from providing Student with a FAPE from August 2012 forward because District exercised reasonable efforts to perform an IEE of Student pursuant to ALJ Alexa Hohensee’s order in OAH case number 2012010705? 58. In Issue 4, District seeks to be excused from its obligation to offer and provide Student a FAPE because it has made reasonable efforts to ensure that the assessment ordered in OAH Case 2012010705 occurred. District claims that without this assessment, it cannot be required to offer or provide Student a FAPE. District also claims that it could not schedule another IEP for Student unless and until the assessment awarded to Student as a result of District’s predetermination of Student’s placement at the December 12, 2011 IEP was completed. The Student contends that she should be able to choose the provider for an IEE and has filed a partial appeal in federal court to seek to overturn the part of the order in OAH Case 2012010705, which allowed District to choose the assessor. 62. After the August 2012 Decision with the order for an IEE, District did schedule an assessment with a provider on District’s list of providers, as ordered. However, Parent wanted to use a different provider on the list. District claims that they could not use another provider that Parent wanted on the list because it would violate the order if they considered Parent’s choice of provider. Nothing in the Order said that the parties could not work together and agree on an assessor, and District staff’s view that District could not choose an assessor on the list that Parent preferred flies in the face of logic and is not reasonable. Because District was not willing to work cooperatively with Parent to choose a provider from District’s list, Parent filed an appeal of the order specifically on the issue of which party could choose the assessor. 63. In support of its position that it should be excused from the provision of FAPE after August 2012, District cites a case from OAH where, after a determination is made by an ALJ that District can assess the student, the ALJ absolves District of responsibility for FAPE unless and until Parent presents the student for an assessment. 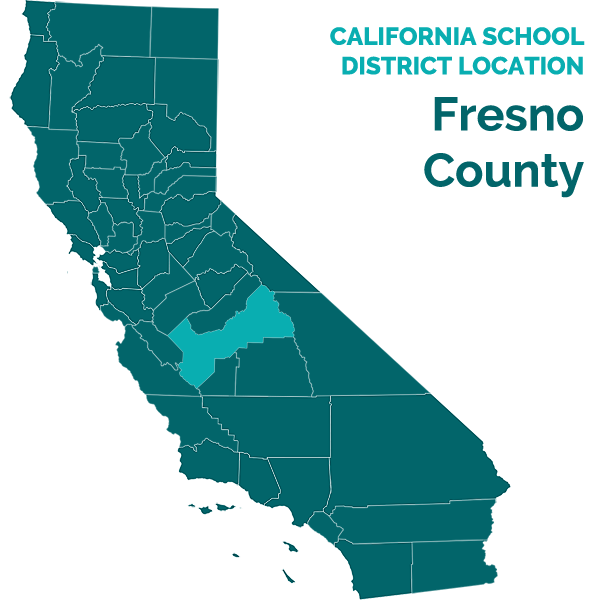 See Student v. Fresno Unified School District (2013) Cal. Off.Admin. Hrgs. Case No. 2012110106. However, these cases are distinguishable because the orders cited happened after the ALJ determined that District was entitled to assess based upon an assessment plan in a district-filed due process case. The ALJ, when ordering that District could assess the student over parental objections, specifically ordered that if Parent did not cooperate with the assessment, District would be absolved of its responsibility to provide the student a FAPE. In this case, the order in OAH Case 2012010705 was in a student-filed case and was a remedy awarded to Student and there was no order in the decision absolving District from the provision of FAPE if Student did not cooperate in the assessment. 64. The issue regarding who will assess Student pursuant to the order in OAH Case 2012010705 is still being actively litigated. The IEE awarded in the August 2012 Decision was a remedy awarded to Student for District’s denial of FAPE. District cannot be excused from its obligation to provide Student a FAPE because the Student has not availed herself of a remedy awarded to her in a due process hearing. More importantly, she is appealing one of the conditions of the award in federal court and therefore there has been no final determination as the litigation is still active and pending. District’s obligation to offer and provide FAPE to Student continues, despite the existence of current litigation. 65. Finally, even if Parent was unreasonable in failing to comply with the assessment order, District is not excused from its ongoing obligation to serve Student. District was not enjoined in the August 2012 order from pursuing its own assessment of Student or developing subsequent IEPs for Student based upon information available to the IEP team from Student’s teachers. District actually made what it considered to be another placement offer to Student in the prior written notice of September 26, 2012, which shows clearly that District did not believe it was excused from the provision of FAPE to Student. 66. District did not meet its burden to show that it is excused from offering or providing Student a FAPE from August 2012 forward. District’s obligation to offer and provide Student a FAPE continued. Issue 5 – Is District excused from providing Student a FAPE from August 2012 forward because Parent failed to comply with ALJ Hohensee’s order issued in OAH case number 2012010705 by refusing to make Student reasonably available for an IEE? 67. In this issue, District seeks excusal from its obligation to provide Student a FAPE from August 2012 forward because Mother has not made Student available for the IEE ordered in OAH Case 2012010705. As analyzed in Issue 4, the issue regarding who will perform the IEE is still being actively litigated in Federal Court. The Student has appealed the issue of whether it is appropriate for District to choose the assessor. District has provided no legal support for its position that the Student must comply with an order for a remedy given to her after a finding that District denied Student a FAPE or, even if Student had an obligation to accept a remedy awarded to her, that she would have to comply during the appeal period before the Federal Court rules on the appeal. 68. District did not meet its burden to show that it is excused from offering or providing Student a FAPE from August 2012 forward. District’s obligation to offer and provide Student a FAPE continued. 69. In Issue 6, Student contends that District denied her a FAPE in the 2010-2011 school year, from October 3, 2010 forward, by failing to have an adequate transition plan, failing to develop goals in all areas of need, failing to offer extended school year services, failing to provide mobility training and failing to provide an adequate educational program. The IEP in place for the 2010-2011 school year, from October 3, 2010 forward was the June 10, 2010 IEP, which Parent signed. The specific components that Parent alleged denied Student a FAPE are analyzed below. Although a denial of FAPE in each area individually would result in a denial of FAPE for Student for the school year, the analysis for each allegation will still be completed as it is relevant to the remedy portion of the decision. 70. The legal standards set out in Legal Conclusions 45-47are equally applicable to the resolution of this issue and are incorporated by reference. 71. At the time the transition plan was developed for Student she was eighteen years old. There was a page titled Individual Transition Plan attached to Student’s June 10, 2010 IEP. The goals on the transition plan are not measurable. One of the goals references using Student’s math skills but there were no math goals on the IEP. There are no transition activities on the transition plan or transition services on the IEP as a whole. The transition plan is wholly inadequate for Student, especially given Student’s age of 18 and her intellectual disability. The inadequacy of the transition plan resulted in a denial of FAPE for Student because she lost educational opportunity when District failed to offer transition activities and services. 72. The legal standards set out in Legal Conclusions 33-36 are equally applicable to the resolution of this issue and are incorporated by reference. 73. Student had needs in the areas of reading, reading comprehension, writing, mathematics, functional and independent living skills, communication, and self-advocacy. However, District only developed goals in the areas of reading, reading comprehension, and writing. The IEP was not reasonably calculated to provide Student educational benefit due to District’s failure to develop goals in the areas of mathematics, functional and independent living skills, communication, and self-advocacy, and thus denied Student a FAPE. 77. The extended school year offer on the June 2010 IEP would have included extended school year services in the summer of 2010. This is outside the statute of limitations. However, the extended school year for the summer of 2011 is part of the claim for the 2010-2011 school year and is analyzed below where the June 2011 IEP, which is the relevant IEP for extended school year 2011, is analyzed. 78. The legal standards set out in Legal Conclusions 33-36 are equally applicable to the resolution of this issue and are incorporated by reference. 79. There was no evidence that Student had needs in the area of mobility on the 2010-2011 school year. The Student did not meet her burden to show that she had needs mobility training in the 2010-2011 school year. 81. District did not provide Student with the special education services set out in Student’s June 10, 2010 IEP. Student was supposed to receive 50 minutes a day of special education services and Student was only seen by the special education teacher, Ms. Richards, two times a week and never for more than 30 minutes. This was a material failure to provide Student’s specialized instruction and was a denial of FAPE for Student. 82. Further, even had the program been implemented as offered in the IEP, Student made no progress in reading, writing, and mathematics, and received no educational benefit from the program in these areas during the year. Student was capable of making progress in these areas had Student been in a functional skills program. Therefore, Student was also denied a FAPE because she did not receive meaningful educational benefit during the 2010-2011 school year. The failure to provide adequate transition services has been discussed above. 83. In sum, District denied Student a FAPE for the 2010-2011 school year, from October 3, 2010 forward, because District’s transition plan was not legally sufficient; there were no transition services; Student did not have goals in her areas of need in mathematics, functional and independent living skills, communication, and self-advocacy; District did not provide an appropriate educational program by failing to implement Student’s special education services from the June 10, 2010 IEP; and because Student did not get educational benefit in the areas of reading, writing, and math. Each of these failures stand alone and denied Student a FAPE individually. The combined denial of FAPE for this student resulted in a deprivation of services for Student which was pervasive and impactful. 84. As discussed above, District denied Student a FAPE from October 25, 2011 until the date of this decision. Therefore, only the time period of August 2011 through October 25, 2011 will be analyzed for Issue 7. The IEP in effect for the time period of extended school year 2011through October 25, 2011 was the June 10, 2011 IEP. 85. The legal standards set out in Legal Conclusions 45-47 are equally applicable to the resolution of this issue and are incorporated by reference. 86. The transition plan attached to the June 10, 2011 IEP was procedurally and substantively deficient. The two “goals” were generic and not measurable. They were not tied to any goals in the IEP as there were no goals developed at the IEP or attached to the IEP. The IEP does not list transition services. Although the proposed placement of the ATP at IMC had services as part of this program that might be considered transition services, there was no determination on the IEP of what transition services would be appropriate for Student. The failure to specifically identify and offer transition services for Student denied her educational benefit and denied Parent the right to meaningfully participate in the IEP process. It was not sufficient to offer a Student a program that may contain some of the transition services Student needed, as Student was entitled to a specific offer of FAPE that included specifically delineated transition services. District failed to do this and denied Student a FAPE. 87. The legal standards set out in Legal Conclusions 33-36 are equally applicable to the resolution of this issue and are incorporated by reference. 88. As discussed above, District did not attach goals to the June 10, 2011 IEP. District members of the IEP team explained at the hearing that no goals were developed for Student at the May and June 2011 IEP team meetings because a placement had not been decided for Student and that the goals for a student are dependent on the program in which a student is enrolled. District IEP team members gave the example that should Student’s placement be more academic, she would have more academic goals, if the placement was more a functional skills placement, she would have more functional skills goals and if her placement was more geared towards work experience, she would have more vocational skills goals. District’s decision to develop goals after making a placement offer for Student completely turns the IDEA framework on its head because goals are to be developed for a student prior to determining what services and placement will allow the student to work towards meeting the goals. The June 10, 2011 IEP denied Student a FAPE because it failed to contain goals in mobility, organization, time, vocational training, reading, reading comprehension, written expression, functional and independent living skills, communication, and self -advocacy. 89. The legal standards set out in Legal Conclusions 74-76 are equally applicable to the resolution of this issue and are incorporated by reference. 90. District did not offer Student extended school year services for the 2011 extended school year. District’s offer to Student at the June 10, 2011 IEP team meeting was the ATP at IMC. District contends that it does not offer any extended school year services for any student in any of the ATP programs and therefore no extended school year placement was available to Student. Student’s teacher, Sharon Richards, testified that Student needed extended school year services. District cannot make a blanket determination not to offer extended school year services to all Students ages 18-22 years old in its ATP programs. The blanket determination is predetermination. The determination regarding extended school year services must be made for each student by their IEP team. 91. District’s wholesale failure to offer extended school year services to students in the ATP programs and specifically its failure to offer extended school year to Student denied Student a FAPE. 92. District’s failure to offer an appropriate transition plan, failure to develop and offer any goals and failure to offer extended school year services constitute a serious denial of FAPE for Student. Without goals, the program offered cannot be analyzed as the program needs to be based upon the goals developed. Therefore, the sub-issues regarding mobility, peer socialization, disenrollment, transportation, least restrictive environment, and adequate program will not be analyzed because District was already found to deny Student a FAPE from the end of the 2010-2011 school year until October 25, 2011. 93. The legal standards set out in Legal Conclusions 15-58, 60-62, and 84-85 are equally applicable to the resolution of this issue and are incorporated by reference. 94. As noted above, the last IEP developed for Student was the December 12, 2011 IEP, which was found to deny Student a FAPE. District did not hold an annual IEP meeting for Student at any time since the December 2011 IEP team meeting, over two years ago. As noted above, District must continue to hold IEP team meetings for a student, even when there is litigation. District argued that unless and until Parents submitted to the assessment ordered by ALJ Hohensee, it could not hold an IEP team meeting for Student. This argument fails. District remained obligated to continue to hold IEP team meetings for Student, develop goals and make a placement offer. District chose not to. 95. Therefore, District has denied Student a FAPE since December 12, 2011, because the last IEP developed by District was predetermined, found to deny Student FAPE and no other IEP’s were developed for Student. Therefore, District denied Student a FAPE since December 12, 2011, and there is no need to analyze the specific allegations Student has made as to why Student was denied FAPE during the 2012-2013 school year as District denied Student a FAPE for all time periods from October 3, 2010 through the date of this hearing. 96. The legal standards set out in Legal Conclusions 15-57, 59-61, and 83-84 are equally applicable to the resolution of this issue and are incorporated by reference. 97. It is not necessary to analyze the specific allegations Student has made as to why Student was denied a FAPE during the 2012-2013 school year as District has already been found to have denied Student a FAPE for all time periods from October 3, 2010 through the date of this hearing. 98. Student prevailed on Issues 3, 4, 5, 6a, 6b, 6c, 6e, 7, 8, and 9. Issues 1 and 2 were not reached as those issues were moot at the time of his decision. District prevailed on issue 6d. 101. District argues, in its closing brief, that compensatory education should not be awarded to Student because of the lack of recent assessments for Student makes the award of compensatory education impossible. While District is correct that the lack of current assessment information makes a determination regarding compensatory education difficult, the Student should not be penalized because District did not complete assessments on Student in a timely manner or seek a due process resolution in a timely manner. 102. With the exception of a few assessments in 2008, between 2002 and 2011, District did not ask to assess Student. As late as May 2011, District determined that Student did not need to be assessed. District then presented to Parent an assessment plan at the IEP team meeting on October 25, 2011. In 2011, Parent did not object to the assessment, but asked that non-district employees perform the assessment. District could have agreed or filed for hearing, but instead, they did nothing for more than a year. 103. District did not promptly file for hearing to complete their assessment over Parent’s objection, and when it did file, it took steps, along with Mother, that significantly delayed the process. Further, when District did seek to have the triennial assessment completed over parent objection, the assessment plan was not appropriate and District would not have been allowed to complete the assessments based upon the assessment plan from October 2011, even if Student had not turned 22 before this Decision was rendered. 104. The failure to assess Student lies squarely on the shoulders of District. By District’s own admission, Student has not made educational progress since at least October 3, 2010. Without a recent, comprehensive psychoeducational assessment, it is impossible to gauge the appropriate amount and type of compensatory services to award Student for District’s failure to offer and provide her a FAPE since October 3, 2010. Further, District never performed a transition assessment on Student, and did not seek permission to perform one, in violation of the statute requiring that the transition plan must be based upon assessment, until Student was 19, more than four years after the assessment was legally required. Without a comprehensive transition assessment, determining the compensatory services related to District’s transition failures is also impossible. 105. Although Parent filed for hearing in this matter and generally proof of compensatory services asked for in hearing is on the party asking for the compensatory services, District’s lack of assessment made it impossible for Parent to understand what Student’s needs, present levels of performance, or needed services were. The purpose of the IDEA is not served by requiring parents to fund assessments in the absence of District performing assessments in order to prevail at hearing. In this case, it is equitable to require that a complete psychoeducational assessment and a complete transition assessment are completed on Student before any compensatory education can be awarded. 106. To that end, both parties indicated in the hearing that they had no objection to Dr. Howard Glidden performing a comprehensive assessment. Dr. Glidden has been chosen to perform a complete psychoeducational assessment, including communication, on Student. Evolibre, a company that provides transition services, has been chosen to perform a complete transition assessment. Both assessments will be paid for by the California Department of Education and will include the assessment, observations of Student should the assessor request to do so, the generation of a report with recommendations for specific compensatory services for Student, and attendance of the assessors at the hearing regarding the compensatory services. 107. Another hearing will be scheduled regarding the type and amount of compensatory services that should be awarded to Student based upon District’s denial of FAPE to Student in this matter. This hearing will be scheduled at the Status Conference in this case on January 24, 2014, and will be scheduled for no more than two days. 108. At this hearing, the ALJ and the parties will be able to question the assessors and the parties may put on limited evidence and witnesses regarding compensatory education. The scope of the evidence allowed and the number and identity of any witnesses will be determined at a prehearing conference, which will be scheduled at the Status Conference and will occur prior to the reconvened hearing. Both parties will receive a copy of the assessments at least five days prior to the prehearing conference. 1. Student will participate in a psychoeducational assessment by Dr. Howard Glidden. The assessment will be at public expense. The assessment will be comprehensive and include assessment, observation (if Dr. Glidden determines it necessary), preparation of a written report that will contain service recommendations, and participation in the upcoming hearing on remedies. The assessment schedule will be discussed at the Status Conference, which will occur on January 24, 2014. 2. Student will participate in a transition assessment by Evolibre. The assessment will be at public expense. The assessment will be comprehensive and include assessment, meeting with Student and Parent, (if Evolibre determines it necessary), preparation of a written report that will contain service recommendations, and participation in the upcoming hearing on remedies. The assessment will be scheduled as soon as the psychoeducational report is completed so that Evolibre will have the information from the psychoeducational report available when its assessment is completed. 3. If Student does not present herself for the assessments or does not complete the assessments without good cause, Student shall forfeit any remedies under the IDEA for compensatory education for any denial of FAPE. If Student cannot attend any of the assessment sessions, Student will send a written motion to OAH requesting to change assessment dates and good cause will be required. 4. District will provide both assessors with a complete copy of Student’s educational records and this Decision not later than five business days after receipt of this Decision. Parent will provide both assessors copies of any other relevant documents she wishes the assessors to review no later than five business days after this decision. 5. The parties will participate in the Status Conference scheduled for January 24, 2014. 6. A two-day hearing will be held at a date to be determined at the Status Conference regarding the type and scope of compensatory education for Student based upon District’s denial of FAPE as found in this decision. A prehearing conference will also be scheduled to discuss the evidence and witnesses which will be allowed at the one-day hearing. 7. Both parties and the ALJ will receive copies of the assessments at least 5 days prior to the prehearing conference. 8. The matter remains continued until the Status Conference, currently scheduled on January 24, 2014, is held. 9. All of District’s requests for relief are denied. Pursuant to California Education Code section 56507, subdivision (d), the hearing decision must indicate the extent to which each party has prevailed on each issue heard and decided. Here, Issues 1 and 2 were not decided, and the Student prevailed on Issues 3, 4, 5, 6a, 6b, 6c, 6e, 7, 8, and 9. District prevailed on Issue 6d.